Here’s another photo tip from my eBook Photographing People in my The Photographer’s Eye series. I call it: Take a Picture, Give a Print. This is always a fun thing to do, if you intend to visit a location again, OR if you use one of the tiny new portable printers now on the market. Once you get a subject to agree to allow you to take their picture- and often I end up making some great friends that way- I either send a print to that person once I get home or else bring one with me on my next visit to the country. 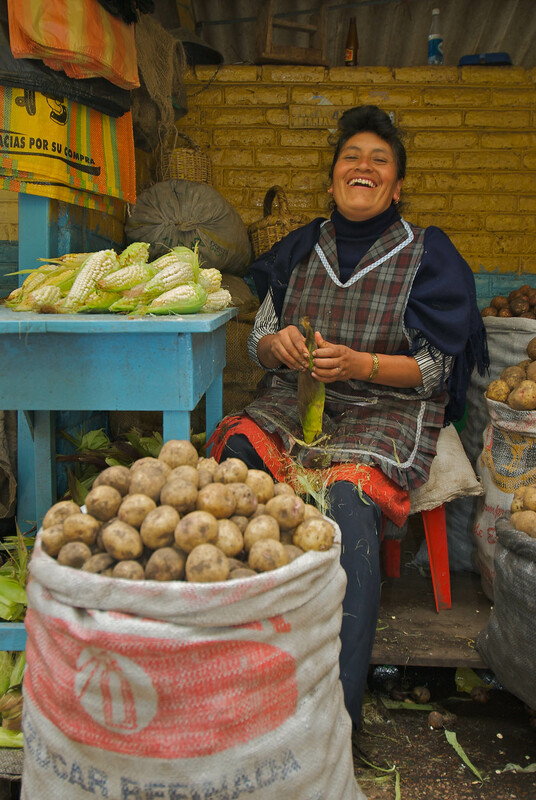 In Ecuador, there is a market in Otavalo where I love to spend time photographing. When I go back, I bring prints of my subjects from my last visit and now the people are excited when I return. They even have my prints hanging on their walls. This is a great way to make friends, influence people, and make the job easier for you on subsequent visits or for fellow photographers. I personally do not tip people for taking their photos, but I do show my gratitude by sending them something that I consider even more valuable. That respect goes a long way.